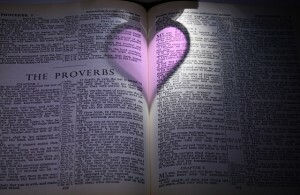 Inspirational Bible Verses - Do They Really Help? People often turn to Inspirational Bible verses when they need to read God’s Word to help pick them up from discouragement, despair, disappointment, or general hopelessness. Possibly just the love of reading God’s inspirational bible verses is their desire. The reason why I turn to the Bible as opposed to other books is that God’s Word is the truth. If you look up inspirational quotes, they are referencing many different views on life. Some of them are inspirational, but it is so comforting to be able to go to the real truth, the most inspirational knowledge from the all-knowing wisdom of God. When a person does read these inspirational Bible verses, it is God speaking to them through the pages of the Bible. When we read inspirational Bible verses, it takes our mind off our problems and gives us hope when we confide in God’s Word. When we pray and meditate on His Word, He will bring us through whatever it is and often takes us to wonderful places we’d never ever expect! It is so comforting to have the timeless Bible, the only reference that is the “Truth” for today and generations to come. Inspirational bible verses are the best source of comfort, reassurance and direction for our life.